Ture Ghost Stories Submitted By Users! All Stories contained on this page are Copyright by the story tellers. All Inquiries should be directed to the owner of the story. pulling away, a light had appeared *on* the bridge. Two lights to be exact; headlights. Headlights of what could be a truck, but closer to the ground like a wide car. sometimes seem to have "something" in the center of them. 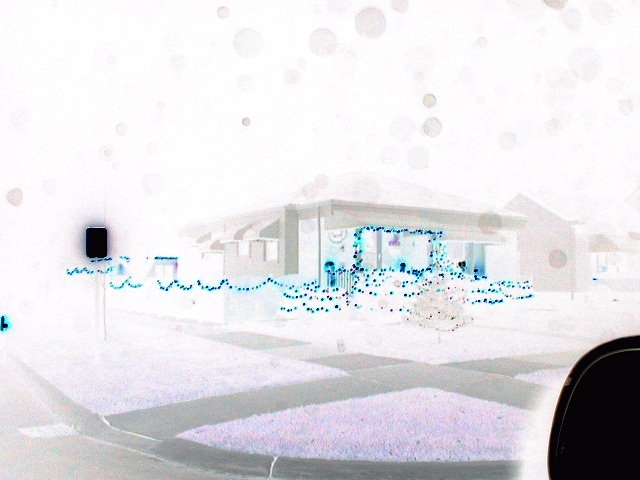 Orbs can be viewed and "judged" much better when converting the image on the computer to a negative. picture. Out of 15 pictures taken in this neighborhood that night, this was the only picture to turn up these sort of results. Why would it be like this JUST in this one spot? I was told later that some years before, someone had died either in the house across the street, or in the front yard of the house across the street. A connection perhaps?